Michael and Patrick are both in Phoenix for this podcast. They also have a special guest their nephew Chad Smith. The whole family was together for Thanksgiving, and Chad is joining today’s show. Chad is from San Francisco. He is a graduate of Arizona State University and is 33 years old. Chad is a DJ in San Francisco with a huge following. Last night while sitting outside watching the stars, Chad asked a very important question. He wants to know what he should do with the rest of his life. 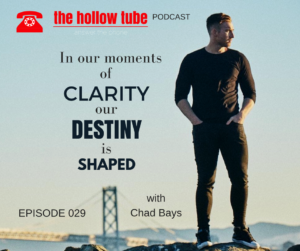 We talk about some of the trials Chad has gone through, and the challenges of being a creative and following his passion. 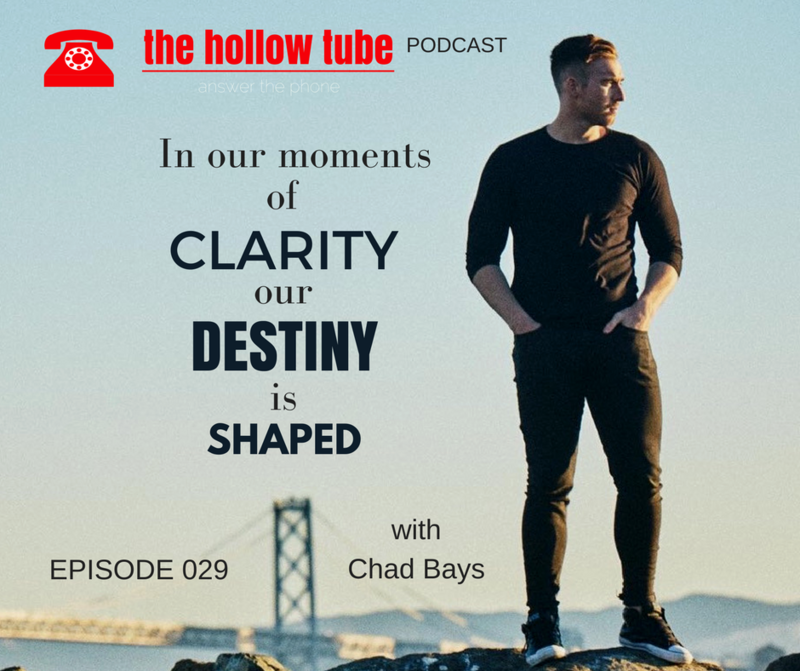 We all share some personal stories, and Chad shares how he overcame addiction, how he wants to find the perfect partner, and more. [02:46] What should Chad do with the rest of his life? [03:30] Chad has always been a fan of music, and he saw an electronic music show with Paul Van Dyk. [04:03] He was hooked from that moment on. Then he got turntables and became a DJ. [05:04] His day job and his weekends being a DJ didn’t match up. Chad is living his passion, but he still feels there is something to strive for. [06:00] Passion takes suffering and sometimes Chad has to take gigs that go against his creative integrity. [07:39] Chad started with pot then tried other drugs before getting into heroin when he was around 24 or 25. [08:20] He hit rock bottom when he was renting out rooms in his house to roommates. He had a 19 year-old roommate that wanted to go shopping with him. [11:16] Having a moment of clarity for the first time and seeing things for how they really are. This is when Chad decided to get help. [11:43] Patrick’s son Brandon went through something similar as an alcoholic. [12:35] Chad ran into Brandon at a 12-step program and they bonded going through the whole thing together. [13:53] The moment of clarity and facing reality. The shopping invitation made Chad realize that he needed help with his drug addiction. [15:35] Chad called his older brother and asked for help. [16:34] Chad had missed a lot of work because of his drug addiction. He didn’t care what happened with is job. He just wanted to be well. He didn’t get fired because he was in treatment and was able to go back to his position. [17:52] Chad was in a spiritual slump and tried mushrooms and went to Golden Gate Park. He didn’t drink or do anything like that since then. [21:01] How the addict brain doesn’t react like a normal person’s brain. [23:53] Chad got into fitness right away to replace the drugs with something healthy. [26:20] Identifying something greater than yourself is a huge part of the recovery process. Chad believes in the Universe’s energy. [28:21] Getting control of your thoughts and your mind. Feelings of not being loved. [29:08] Healing the wounded child. We don’t recognize the behaviors of the wounded child who doesn’t feel significant. [30:04] Patrick tells a story about being a Little League pitcher who was having a bad game. He said he was sick and tried to walk off the field. When he got home he was punished by being beat with a belt. [34:50] Michael could never do anything good enough as the middle kid. Everything had already been done. Plus, he wasn’t good at baseball. [36:13] Patrick would always get locked out of the house and have to wonder around. He got hot and lay down in the carport. Then he had to go get his tonsils out, and he was left at the hospital alone. He felt lonely not having anyone in his corner. [39:03] Being aware of our behavior and how it is manifesting. [39:53] Patrick wakes up wanting to accomplish something everyday to validate his worth. [40:46] Moving on from this point forward. [41:06] Patrick had to do well in sports and school. His moment of clarity came to him when he was a kid. These things drove him to achieve what he has achieved. [42:55] Chad just got out of a relationship. He takes the end of relationships very hard. He gets inspired by his romantic relationships. [44:06] How women think of things in the long run. Being a DJ makes it hard to have a true connection. [44:56] Financial stability is important to women. [47:54] The duality of living his passion or have a life with a wife and children. [48:27] Sometimes other things need to be done to put money on the table. You just need to be creative about it. [49:28] Chad needs someone who gets him. [50:18] Creatives get along better with people in their own fields. [51:03] Actors marry other actors because they get each other. They are also insecure and live for the applause to validate who they are. [54:21] A day in Chad’s life 10 years from now. Write it down. You can’t hit a target without envisioning it. [57:42] Everything starts from a place of gratitude. Think of two or three things that you are grateful for. Once you come from a place of gratitude. [59:20] Chad is getting a gratitude journal he learned to be grateful and persevere so good things will happen.